​So much for the Angels ​balking at record-breaking Mike Trout contract numbers earlier this month. 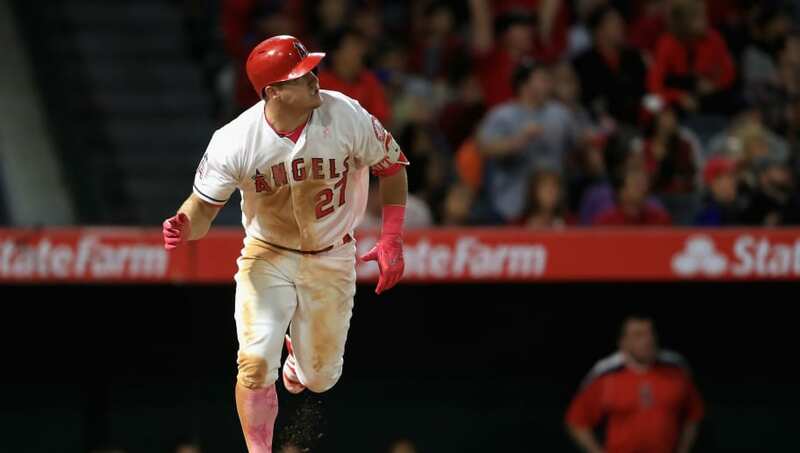 After weeks of speculation, Trout and the Angels are reportedly closing in on a behemoth of a contract that will keep the south New Jersey native in Los Angeles for potentially the rest of his MLB career. Trout, now 27, is closing in on a 12-year contract with the Angels which will pay him a truly ​astronomical $430 million. Were this any other player, we'd be suggesting that's an overpay, but Trout is worth every damn penny, and maybe then some should there be added incentives. Trout is the best player of his generation, and this deal would pay the two-time AL MVP until he's 39 and potentially willing to retire having played for only one team in his entire career. Or at least, that's clearly the Angels' intention here. Trout's close friend, Bryce Harper, openly bragged about trying to recruit Trout to Philadelphia after signing his own insane contract this offseason. With Trout being a die-hard Philadelphia sports fan, the match made sense. However, it appears Harper's tampering efforts failed, with Trout securing the bag and then some to completely reset the MLB market for star players in the process. Trout will be swimming in money, and that's an understatement. More to come on this monumental moment in MLB history when we have the details.